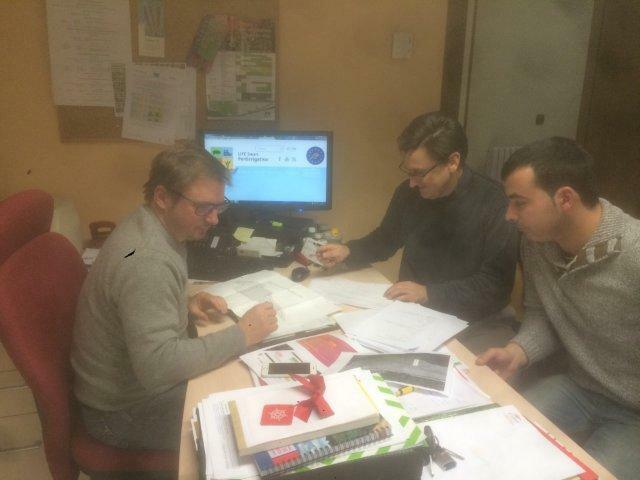 On the past 18th of December, Arturo Daudén Ibáñez, technical manager of the project met in Soria with José Antonio González of COPISO to discuss the progress of action A4 regarding the experimental design of the field trials with the organic fertilizer through direct injection in the local irrigation systems. Together, the defined the material and methods necessary to carry the first trials out during the summer-autumn of 2016. The critical points to be taken into account include the level of solids and particle size in the liquid fraction, which will be a major point of attention for the installation of the integral digestate processing system. Therefore, a new irrigation technology will be installed at the field plots in order to adapt to these critical points.